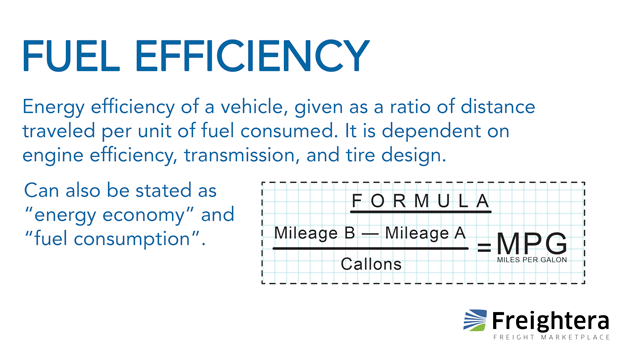 Energy efficiency of a vehicle, given as a ratio of distance traveled per unit of fuel consumed. It is dependent on engine efficiency, transmission, and tire design. Can also be stated as “energy economy” and “fuel consumption”.